Dry hair looks very bad and makes one look unattractive. Also they are important as they too help out in making one look gorgeous and stylish. Straight hair or curly hair, dry hair or oily hair, every type should be taken care. There are certain methods which work well for oily hair but don’t work for dry hair. Dry/frizzy hair are difficult to maintain as they get dried very early. Proper hair care for dry hair should be taken so that they don’t look dry and damaged hair instead looks smooth and lustrous. - Dry hair lacks oils and so it is important to maintain the normal oil content for hair. For this you should massage your hair with oils like olive oil, almond oil, coconut oil or jojoba oil. If you massage your hair with warm oils at night before going to sleep, then the condition of dry hair can be maintained. Regularly massaging the hair with oils will be needed to make dry hair normal. - Henna powder can also be used to maintain proper condition of dry hair. Mix the powder with tea solution and lemon juice and apply it on the hair. Leave this hair mask for at least 3-4 hours. After this rinse it with lukewarm or cold water. Doing this regularly once in two weeks will help to maintain the quality of hair. - Coconut milk is also considered as a very good ingredient which can be mixed with others to make a lot of different hair masks which will treat dry and frizzy hair. Mash avocado and banana and mix them with coconut oil. Apply this mask on the hair and rinse it off after 20 minutes. This will give a new life to your hair by removing the dryness from them. - Using vinegar or wheat germ oil diluted in water on hair after you are done with your shampoo is a good method to maintain the condition of dry hair. After you have normally washed your hair with shampoo, apply this liquid mixture in the hair and then rinse it off. By doing this regularly, you will see changes in the condition of your dry hair. - Another hair mask for dry hair consists of eggs, olive oil and vinegar. Mix egg and olive oil and apply it on your hair. Cover the hair with shower cap or towel and leave it for some hours so that the mask sets in the hair. After this wash this mask with vinegar. As the smell of vinegar is not likeable to some, so you can use apple cider vinegar in place of it. By this hair mask your dry hair will become normal and lustrous. - Avocado can be used when dealing with dry and damaged hair. The nutrients and vitamins present in avocado helps in keeping the hair in good condition. Mash it and apply it on the scalp and hair. Leave it for 15-20 minutes and then rinse it off with lukewarm or cold water. You can also mix egg yolk and olive oil with avocado to make another recipe which works well for dry hair. One another recipe will be mashing raw papaya and avocado and applying this on the hair. Maintain proper condition of dry hair in order to look more beautiful and gorgeous. 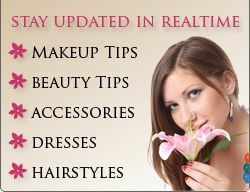 Keep in mind the above tips so that the condition of your hair is well maintained and there are no frizzes in the hair.